ONE OF THE great misfortunes of being a professional athlete is that your biggest failures are inevitably caught on camera. The ubiquity of media coverage for modern-day sport is a double-edged sword: it can propel someone to superstardom or it can undo them in an instant; it can capture the essence of triumph and it can immortalise the depths of despair. It can valorise or vilify in equal measure. Although the most memorable pictures from sporting history tend to be the ones associated with moments of victory, there is something about seeing images of defeat that carries an immense poignancy. Nowhere is this more evident than in a photo from the immediate aftermath of the 2002 World Cup final. On a muggy evening in Yokohama, Germany goalkeeper and captain Oliver Kahn sits in his goalmouth and leans against the post. His immaculately sculpted sideburns and his pristine white socks are contrasted sharply by the anguish etched across his face, as you see him contemplating the magnitude of the opportunity that has just slipped through his side’s fingers. Germany had just lost 2-0 against a Brazil team spearheaded by a resurgent Ronaldo. More than anything else, perhaps what’s most remarkable is just how small he looks. Anyone remotely familiar with Kahn knows what a formidable figure he was, how imposing he was to behold as he filled his goal. Here, he looks withdrawn and diminished and he’s virtually foetal as he’s curled up against the woodwork. His vulnerability is compounded by the fact that he hasn’t got his gloves on. He’s a knight stripped of his armour, Samson shorn of his locks – a goalkeeper without his gauntlets. It’s a wonderful portrait of despondency and it’s a powerful reminder of the ruthless nature of elite level sport. 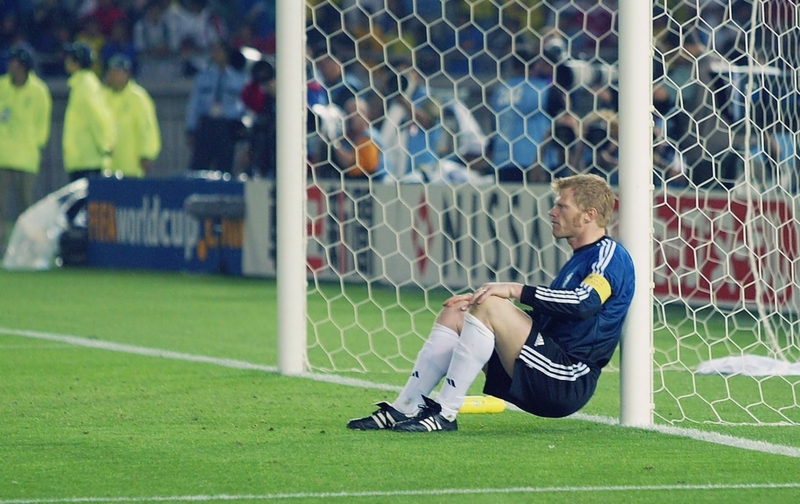 But it often seems to be the defining image of Oliver Kahn’s career as a whole. That might seem like an odd thing to say about a player who enjoyed such a distinguished and decorated career but it highlights the central contradiction of Kahn’s position as one of the game’s most trophy-laden nearly men. That’s not to say that he wasn’t successful. Any career spanning two decades at the highest level, amassing eight Bundesliga titles over more than 500 appearances in Germany’s top division in the process, is evidence of profound talent and extraordinary dedication to craft. Anyone who captains their club and country, who wins a Man of a Match award in a Champions League final or who wins player of the tournament at a World Cup is clearly an enormous success. But despite all of these accolades, there’s a sense that the most notable, most high-profile occasions in his career resulted in him ending up on the losing side. These losses create an incompleteness; a slight blot on his legacy that, rightly or wrongly, seems to preclude him from the upper echelons of the conversation about the greatest players to ever don the gloves. 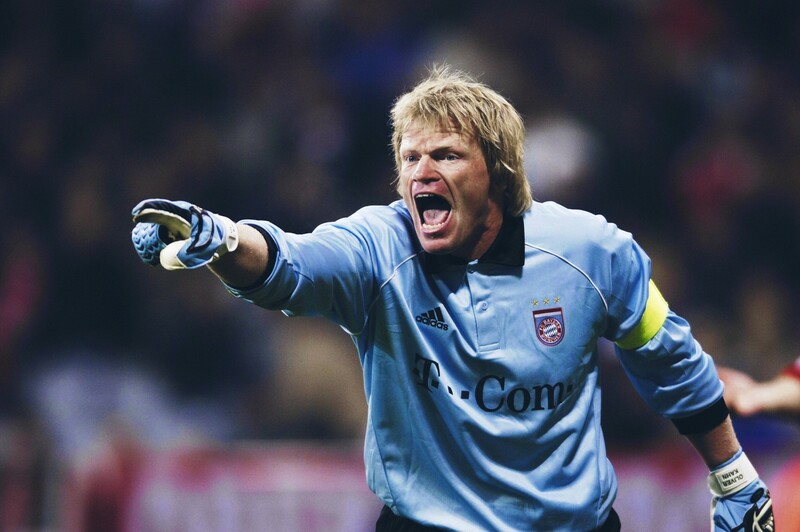 Oliver Kahn seemed to be intertwined with knockout cup competitions. After emerging through the youth system at Karlsruher and establishing himself as the first-choice keeper, it was during a spectacular UEFA Cup run in the 1993-94 season that Kahn really rose to prominence. 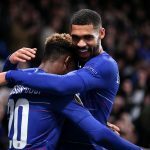 It saw the unfancied Karlsruher knock out more glamorous opponents such as PSV, Valencia and Bordeaux en route to the semi-finals, where they were eliminated on away goals by Austria Salzburg. In the 10 games KSC played across the five two-legged rounds, they kept a staggering five clean sheets, including a 7-0 obliteration of Valencia at a home tie in West Germany. Such a penurious record is a testament to resolute defensive organisation and discipline and was in no small part down to the commanding displays of their pugnacious young goalkeeper. Karlsruher’s scintillating campaign was bound to catch attention and Kahn’s performances in particular turned heads. The following summer Bayern Munich grasped the opportunity to sign him and instantly positioned him as their number one. A lengthy spell on the sidelines with a cruciate ligament injury interrupted his progress but it wasn’t long before Oliver Kahn made up for lost time by helping his side to glory. In the 1995-96 season, Kahn was able to go one better in the UEFA Cup than with his previous team and managed to get his begloved hands on the trophy itself. Clean sheets away from home in the early rounds against Lokomotiv Moscow and Raith Rovers set a domineering tone for the competition and, after successfully navigating those tricky trips, Bayern tossed aside former European Cup winners Benfica, Nottingham Forest and Barcelona before facing up to Bordeaux in the final. Bordeaux, who had only won their place in the competition by progressing through the inaugural Intertoto Cup by knocking out Kahn’s former club, had future French World Cup winners Christophe Dugarry and Zinedine Zidane among their ranks, but they were no match for the Bavarians. A 2-0 win in Munich in the first leg (yet another clean sheet on a big occasion) gave Bayern the platform to build on and they duly blew the French side away in the return leg, with Jürgen Klinnsman claiming his 15th goal of the competition in a 4-1 win. It was the first taste of silverware for Kahn and further success was swift, with a first Bundesliga and DFB-Pokal coming the following season. He coupled his brilliant domestic season with more success on a European stage; as a member of Germany’s squad at Euro 96, he left Wembley with another winner’s medal to add to his burgeoning trophy cabinet. But Kahn’s next opportunity to win a European competition at club level ended in heartbreak and it’s one that left an indelible mark on him and on the minds of supporters. Barcelona: 1999. You know the game. It was still daylight when Mario Basler sumptuously curled a free-kick around the wall into the bottom corner early on to give Bayern a lead to defend. As darkness began to descend, so too did the red tide as Manchester United tried to claw their way back level. Although United were chasing the game, in truth the Bayern keeper had little to do. Racing out to pressure Jesper Blomqvist into spooning a cross over the bar was a classic piece of Kahn goalkeeping – forgoing actually touching the ball in favour of using his mere presence to force opponents into making panic-stricken mistakes – and there was a comfortable catch from an Ole Gunnar Solskjær header but little else of note. While he kept the opposition at bay, he had to watch on as his team-mates squandered presentable chances as they contrived to hit both the post and the bar. And then things changed. As Teddy Sheringham swept the equaliser into the bottom corner, Kahn fell back helplessly onto his haunches in the middle of his six-yard box, a single arm held aloft, index finger raised and wagging as he pleaded for an offside flag that would never come. Moments later, his goal was violated once again, this time by Solskjær, United’s favourite deus ex machina, who evades Kuffour’s attempts to disrobe him in order to prod home an instinctive finish from a near post flick. It’s fascinating watching Kahn as the ball hit the back of the net. For once, those oak-tree-thick legs seemed as though they had laid roots in the goalmouth to keep him in place while he watches on helplessly. The only part of his body that moves is his head as it pivots, first to follow the trajectory of the shot and then to track the movements of the celebrating United players. His hands dangle at his sides and his chin slowly lowers down into his chest, his head drooping like a wilting flower as the ball gently rebounds off the taught net and trickles back over the line towards the penalty spot. Kahn is overcome with emotion. It’s just difficult to tell whether he is harrowed by despair or incandescent with rage. It must have been galling to lose like that. Bayern were dominant and wasted numerous golden chances before throwing it away right at the death, where they were effectively beaten by a plot device. The jaws of defeat had sunk their teeth in and had begun chewing by the time that United got round to snatching victory. But there’s no denying that this final represents one of the greatest comebacks in football. To this day it is still regarded as one of the most incredible reversals of fortune the sport has ever seen and it’s a sensationally compelling narrative of the underdog having their day. It’s easy to forget that amidst the adrenaline-inducing spectacle of a last-gasp comeback there is a set of eleven players who have had their dreams shattered; that for every triumphant David there is a mortally wounded Goliath. Champions League victory just wasn’t meant to be in Barcelona, but both Kahn and his team wouldn’t have to wait long to make amends. Just two years later, Bayern had another chance to get their hands on the trophy that had narrowly eluded them. After dispatching Real Madrid in the semi-finals, the Germans made their way to Milan to face further Spanish opposition in Valencia. It’s often said that set-pieces can change the outcome of games but rarely has a single variant of a dead ball made such a difference. The 2001 Champions League final was a game dominated by penalties. There were three taken during 90 minutes, with Gaizka Mendieta and Stefan Effenburg calmly converting either side of Mehmet Scholl’s limply-jabbed effort straight at Santiago Cañizares, but they weren’t enough to separate the two teams so it came down to a shootout. It’s here where Oliver Kahn truly came into his own. He ended up making three saves, including the vital save to clinch the win – a plunging dive to his right, dismissing the ball with an unorthodox technique, using backs of his clenched fists to beat the shot away. It was ugly and uncompromising and typically Kahn: channelling his belligerence into an impressive feat of goalkeeping. The pick of his saves came from Amedeo Carboni’s spot-kick straight down the middle. Initially misreading the kick, Kahn drops down to his left but has the presence of mind to fling his right arm up, batting the ball away onto the crossbar effortlessly like a grizzly bear snatching salmon from a river. After the ball rebounds to safety, he pounces on it, grabbing it with two hands while violently shaking it and screaming. It’s a moment of pure relief and pure madness. It’s hardly surprising that he thrived under the pressure of a penalty shootout. Imagine how daunting it must be stepping up to take a penalty with such a gargantuan physical presence looming over you. Imagine making that long, solitary walk from the halfway line with the ball in your hand, your mind churning as you contemplate your shot, only to be greeted with the world’s most terrifying guard dog standing between you and the goal, like someone had strapped a set of shin pads onto Cerberus. Little wonder that his opponents often buckled and lost the psychological battle. Kahn picked up the Man of the Match award for his performance and Bayern had managed to exorcise the demons of Barcelona that had been hanging over them ever since. It was a cathartic win, but it wouldn’t be long before the spectre of agonising defeat arose again for Kahn. The 2002 World Cup is remembered for a variety of reasons – Senegal beating the reigning champions France in the opening game; Rivaldo’s hilariously bad pearl-clutching dive against Turkey; some highly suspect officiating – but an impressive Germany side isn’t one of them. It probably says quite a lot about the overall quality of the tournament that such a limited Germany team made its way to the final. Despite the low standard, an 8-0 annihilation of a woeful Saudi Arabia aside, they did their best to make hard work of it. The Germans managed to make their way out of their group, despite having Carsten Ramelow sent off in the first half of their crucial third group game against Cameroon. From there on, they laboured their way to single-goal victories over Paraguay, the USA and joint-hosts South Korea in the knock-out rounds. It’s no exaggeration to say that they wouldn’t have managed to get that far without their goalkeeper, who, at times, especially against the USA, seemed to drag them through games by himself. Kahn was Sisyphus, hauling the boulder of his teammates up the hill single-handedly to reach the final. Sadly for him, his efforts were as futile as his mythological counterpart’s as he came up against a Brazil side with a point to prove. Much in the same way that Bayern’s victory over Valencia allowed them to lay to rest the ghost of their spectacular defeat against United, the World Cup final granted Brazil the chance to get over what had happened in Paris four years earlier. More specifically, it offered Ronaldo, with his freshly shaven semi-circular forehead appendage in tow, to give a proper account of himself on the biggest stage of them all after the bizarre circumstances surrounding him just before the previous final against France caused him to play like a shadow of himself. At times the rest of the game seemed secondary to the personal duel between the Brazilian striker and the German goalkeeper: Ronaldo failed to get anything more than a brush with his studs on a one-on-one before being smothered and then Kahn wielded his right shin to deny a spinning left-footed shot on the stroke of halftime. There was only so long the seemingly immovable object could deny the irresistible force. After an hour, Kahn cracked. A swerving drive from outside of the box by Rivaldo looked as though it was going to be a straightforward save, but it squirmed free of Kahn’s grasp and spilt out directly to the feet on the onrushing Ronaldo. It was a horrendous error that was ruthlessly punished. It’s easy to criticise the keeper for making a mistake of this magnitude, but he was let down badly by his team-mates here – Dietmar Hamann lost Germany possession as he crumpled flimsily under a dainty challenge from Ronaldo and Ramelow completely failed to react to the rebound – not to mention the fact that his team wouldn’t have got that far without him. Read | Germany 2002: the worst World Cup finalists ever? More shambolic defending shortly afterwards. Thomas Linke was so bamboozled by Rivaldo’s dummy that Ronaldo had time to take out his protractor and measure his shot into the bottom corner via the inside of the post. In 10 minutes Ronaldo managed to bury four years of bad memories. In 10 minutes he managed to shatter German dreams. In 10 minutes he denied Oliver Kahn the status of World Cup-winning goalkeeper. And it’s perhaps this gap in his CV, this asterisk against his name, that excludes Kahn from being counted alongside the likes of Dino Zoff, Sepp Maier, Gordon Banks or Lev Yashin as the best goalkeepers to ever play the game. 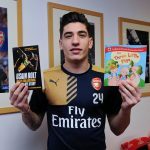 It’s an absence he shares with fellow titan of modern goalkeeping Gianluigi Buffon, who is missing Champions League and European Championship trophies from his otherwise complete set. Such conversations tend to be unproductive and redundant, though, so perhaps it’s best to focus on celebrating other aspects of player’s games. Besides, there’s more to a footballing career than counting accolades once it’s over. Kahn has a reputation as a sort of ultra-aggressive, ruthlessly austere maniac who also happened to be quite good at stopping shots. There’s certainly elements of that to his game as he was frequently seen berating his defenders, hurling his considerable physique into the air to pluck out crosses, or stampeding out to cleave through strikers like an enraged bison in baggy Adidas shorts. He wasn’t some mindless brute, however. There was method to his madness and a thoughtfulness to his ferocity. Rarely was he rash in committing himself to a save or a challenge and his aggression was disciplined. He was simply someone harnessing his attributes to impose himself on the game in the most influential way he could. 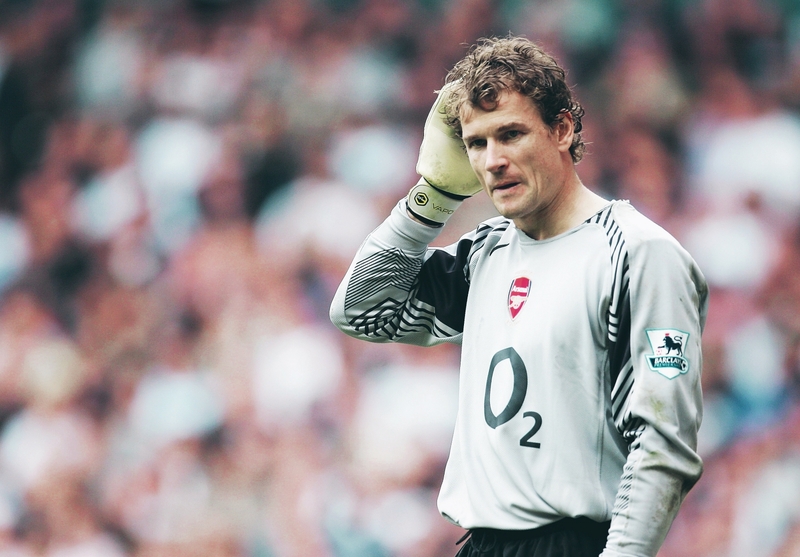 He also possessed one of the great unheralded qualities of the best goalkeepers: patience. The necessity of concentration for elite keepers is often trumpeted. The conventional wisdom seems sound – for a goalkeeper playing in a good side, their involvement is likely to be limited and their touches of the ball infrequent, so it’s important to have the ability to retain focus so that they are prepared when they’re called upon. Perhaps more significant than this, though, is the ability to keep a cool head when they’re needed; to ensure that they’re acting because they should rather than because they can. As a bystander, it’s easy to get an itchy trigger finger and rush into taking the first opportunity to get involved but this is how rash decisions get made. The best goalkeepers know that patience is a virtue and that it’s important to bide their time to make sure their contribution is decisive. Kahn was one of the best. The three-year spell between 1999 and 2002, with a European win sandwiched between two glorious failures, came to define and undermine Kahn’s legacy. Ultimately, though, Oliver Kahn has been a victim of romanticism. We watch football for the drama. For the subplots. For the narrative. More than anything else, we want to see a good story in our sporting contests. Kahn’s misfortune has been that on the biggest platforms of his career, he has been forced into the role of vanquished antagonist to two of the most compelling fairy tale narratives there are – the unlikely underdog come back and the culmination of a redemptive arc for a prodigal son. 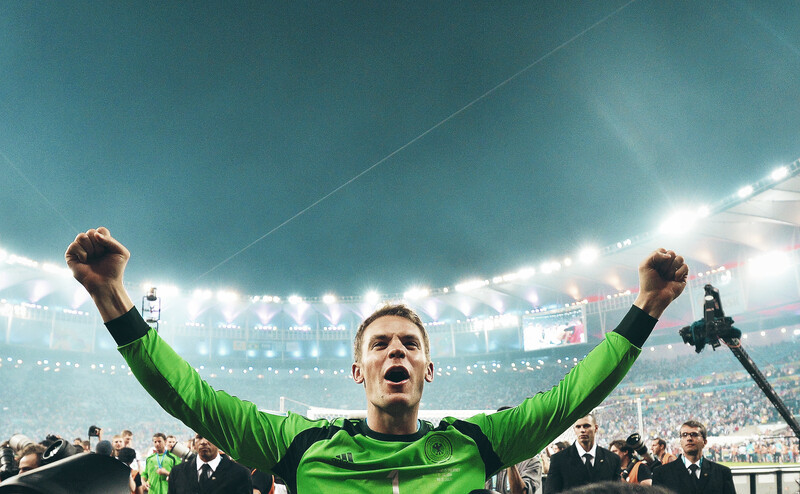 This, alongside the fact that by virtue of his position he is literally an obstacle for our protagonists to overcome, has meant that the German keeper has always been tinted by a slightly villainous shade that has tended to obscure his achievements. History is invariably written by the victors and little thought is spared for the conquered. It’s all too easy to get wrapped up in the joy of a good story coming to fruition and forget the consequences for the defeated. A look at the career of Oliver Kahn reminds us that fairy tales don’t have a happy ending for everyone.